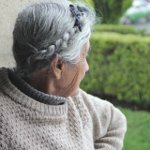 Grandparents’ Day (Día del Abuelo) in Mexico is celebrated on August 28. This annual observance was inspired by a similar holiday celebrated in the United States on the Sunday after Labor Day (the first Monday of September). National Grandparents Day in the United States was conceived by Marian McQuade of Oak Hill, West Virginia. McQuade served on the West Virginian Commission Aging and the Nursing Home Licensing Board, dedicating much of her time to helping elderly people. Due to McQuade’s efforts, in 1973 West Virginia became the first state to celebrate Grandparents Day. Five years later, President Jimmy Carter designated the Sunday following Labor Day as National Grandparents Day. The first official celebration of National Grandparents Day was held on September 9, 1979. By the way, Marian McQuade herself had 15 children, 42 grandchildren, and 15 great-grandchildren. Mexicans designed to follow their neighbors’ suit and inaugurated their own Grandparents’ Day celebrated on August 28. Mexican Grandparents’ Day is less popular than its U.S. counterpart, but many commercial and charity organizations hold special events at hospitals and nursing homes on the occasion of the holiday.